Listen Up Philip | Cinema, etc. 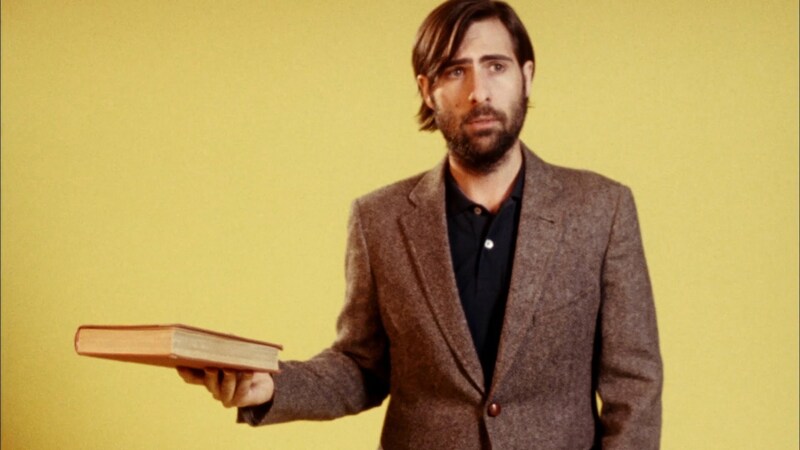 A fast-paced and uncompromising opening scene introduces us to our lead character Philip Lewis Friedman (Jason Schwartzman), a well-regarded writer on the cusp of releasing the follow-up to a popular and critically praised debut novel. On a rampage to rub his success into people from his previous life, he exposes all his character flaws. He’s rude, frank and cynical and it’s hard from this point to feel any sympathy for him, which on an emotional level makes it hard to connect with him as a central character. Indeed, not many of the characters emote any kind of solicitude at any point in the film, bar perhaps Philip’s long-suffering girlfriend Ashley (Elisabeth Moss). This, however, doesn’t necessarily make for a bad piece of cinema. Quite the contrary. Schwartzman is at home in a role full of self-importance and low in empathy for those around him. Philip’s story carries on from here, through the prolonged breakdown of his relationship with Ashley, making a connection with similarly cynical writer Ike Zimmerman (Jonathan Pryce) and his lonesome daughter Melanie (Krysten Ritter) and later on a young and jealous academic Yvette (Josephine de la Baume). It doesn’t refrain from taking gambles on the attention span of the audience, taking several sharp turns in the storyline to cover a lot of ground in a short time frame (109 minutes). It is communicated in a form that serves as a kind of fake biography, with a narration taking a matter-of-fact tone that gives us a knowing reassurance, almost as if the person behind the voice is channeling his words from a future where it is known that Philip Lewis Friedman is one of the world’s most renowned writers. This is reinforced by the closing credits, where we see a montage of book covers released by the characters from the movie. To be honest, it is the only way the film could tie itself together. Each character is introduced to us from a position of imbalance and for the most part they spiral into a world of depression and failure. It wasn’t until a brilliant final scene that I felt like there was a reason to drag us through the emotional dirt; it perfectly balanced a fine moment of acting from Schwartzman with some clever lighting and cinematography, on top of which laid an overarching statement that justified the cause behind the story itself. Elisabeth Moss gives an emotional charge to Ashley as she grows in confidence. Schwartzman is in fine form throughout, in a role not too dissimilar to others we’ve loved to hate him in (Rushmore, Scott Pilgrim vs. The World). Irritating and overly-confident characters are something of his forte, which is funny if not just because he comes across as anything but irritating in interviews he gives. Moss is also given the opportunity to portray a character of real emotional depth who grows in confidence as the story progresses. It’s a shame that her segment of the film seems like something of a departure from the central thread that was otherwise progressing nicely, though overall it was necessary for the final payoff. I’ve intelligently reviewed this as this film exits cinemas, though it is seeing a home media release on Masters of Cinema Dual Format Blu-Ray & DVD in late July.